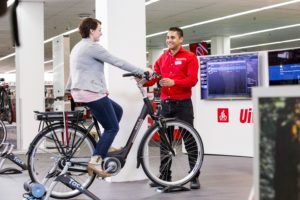 LISBON, Portugal – After a year of decreasing figures, Portuguese bike production has again risen above the one million mark, with big increases by some companies. 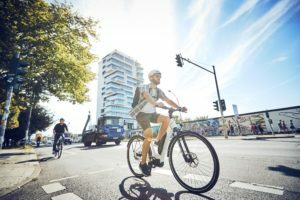 LISBON, Portugal – After a year of decreasing figures, Portuguese bike production has again risen above the one million mark, with big increases by some companies. 2005 and 2006 were two reference years for Portuguese bike production, with the total number of units reaching the 1.2 million mark. But 2007 ended as the first ‘negative’ year for more than six years, with production falling by around 300,000 units. In 2008, with slight increases by some players and a huge contribution by Decanor, now integrated into RTE, the 1.5 million mark seems to be within reach by the end of the year. Decanor is a company that started to produce bikes for Decathlon ten years ago. 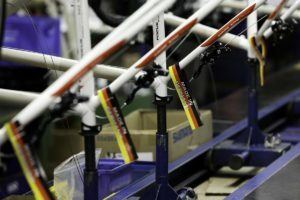 The growth in bike sales by the French sporting goods giant and its confidence in its Portuguese partner have raised estimates of this year’s output to 700,000 units, which is roughly half the country’s total production. And next year things seem to be set for further growth, with an estimate of 1 million bikes assembled at the Serzedo unit, just outside Oporto. The entire output goes into Decathlon’s European centers of distribution before being directed to the shops. Since Portugal is a good consumer of Btwin/Rockrider bikes, a part of that production ends up returning to its country of origin. Both Orbea and BH met their estimates last year and in 2008 there is a slight increase in production. 80 to 85 thousand units is the estimate for this year for both Spanish brands. Orbea has moved to another facility with more production capacity, and promising results in the US market is one factor behind the growth. Next year the company is likely to aim to produce 120,000 bikes in its Portuguese facility. Sirla and Órbita are two well-known Portuguese brands that produce mid to high end bikes for the domestic market. 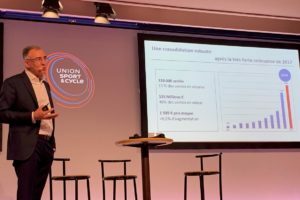 Órbita has a partnership with JCDecaux for the production of the Paris Vélib bikes. The Portuguese bike makers assembles a part of all the Vélib bikes; the other part is done by the Dutch Accell Group. Órbita continues to build these bikes but this business is declining. 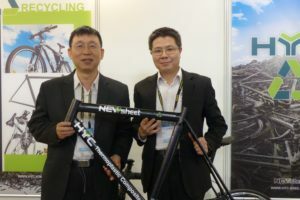 However, the oldest Portuguese brand is aiming at a wide variety of segments, developing new foldable bikes, pedelecs, a new aluminum tandem and a wider cross country mid/high end range of models. We rode the electric prototype and it is definitely an interesting alternative to the much more expensive models of other brands. It uses a 250 W engine powered by Li-ion batteries. The aluminum frame will feature a center stand, a 3-speed Nexus with roller brakes and lights. This and other new projects will be ready for the Portuguese Festival Bike trade show held November 7-9. Regarding figures, Órbita claims it will reach 58,000 units this year, 6,000 more than in 2007. 80 to 85% of total production is for export, with 60% under the Órbita brand and the remaining 40% for client brands. On the other hand, Sirla has undergone an image change in an effort to appeal to a wider range of users. The firm has redesigned its logo and included new carbon models, both hardtail and full suspension, in its range. Their commercial strategy is now more aggressive. Sirla’s output of 35,000 units in 2007 will increase to an estimated 45,000 this year, with a capacity between 200 and 300 bikes per day (according to model). 45% is for export and 35% of the total production is for clients, such as the brands Randam (for bike shops), Speedy and Nomad (both for large retailers). For 2009 the firm is focused on improving its facilities rather than new models. Sirla will expand into a new location and modernize machinery and production techniques. Of course, together with this new capacity, Sirla will improve the image and quality of its top brands, Sirla and Randam. In the past Sirla has built frames in the three major materials but at the moment only manufactures steel frames to meet special requests from clients. The rest are imported. However, the capacity to build steel frames will be maintained in order to meet possible market demand. The remainders of the Portuguese builders have kept their figures stable, though there is a slight slowdown in the Spanish market which is affecting some companies.